Send this letter whether you are male or female. Besides prescribing Premarin® to treat negative effects of menopause, doctors are known to use Premarin® intervenously to prevent bleeding during surgery. So you may be treated with Premarin® without even knowing it or giving your permission. In the meantime, share far and wide. Save the horses! The Premarin family of HRT drugs is made from the urine of pregnant mares. 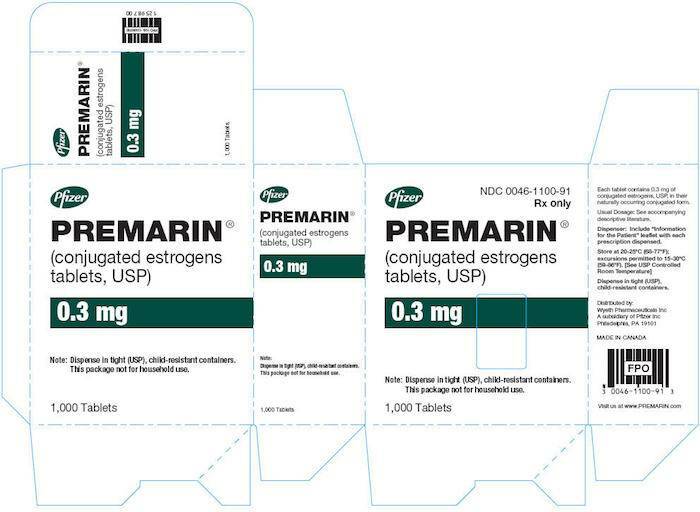 MORE and more doctors who prescribe Premarin® are arguing with us that the menopausal drug no longer contains conjugated equine estrogens derived from pregnant mare’s urine. Huh? 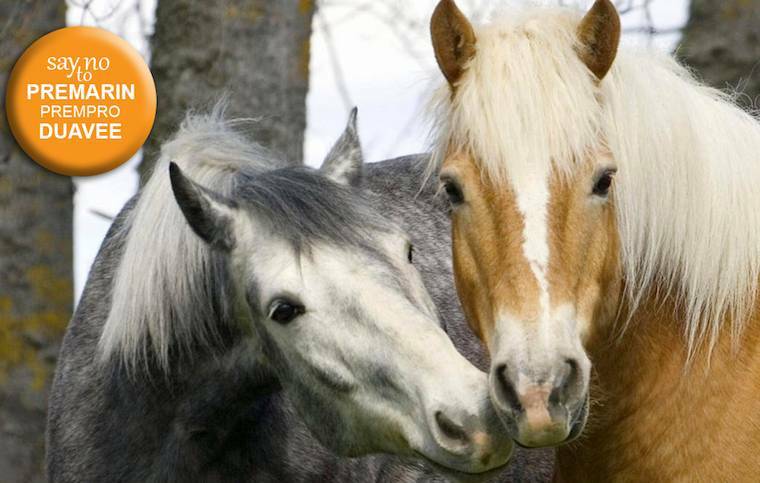 The idea doctors most often cite in support of this belief is what it says on the drugs’ packaging, that Premarin® is made from “conjugated estrogens” where it used to say “conjugated equine estrogens”. Removing the word equine is something Pfizer pressed the FDA to do shortly we believe after they merged with or acquired Wyeth pharamaceuticals, adding these drugs to their portfolio. The removal of the word equine is obviously having its desired effect. Well dear doctors. A quick check on the internet should assure you that the Premarin® family of drugs including Duavee (originally called Aprela) which we don’t hear much of, has and assuredly always will be made with CEE’s — conjugated equine estrogens. Conjugated Equine Estrogens (CEEs) are derived from the urine of pregnant mares and contain a blend of at least 10 estrogen derivatives. Marketed under the brand name Premarin, CEEs are the most frequently used form of conjugated estrogens. All estrogen products mimic the effects of endogenous estrogens in the body which are responsible for the development and maintenance of the female reproductive system and secondary sexual characteristics. Premarin is a pharmaceutical preparation containing a mixture of water-soluble, conjugated estrogens derived wholly or in part from URINE of pregnant mares or synthetically from ESTRONE and EQUILIN. It contains a sodium-salt mixture of estrone sulfate (52-62%) and equilin sulfate (22-30%) with a total of the two between 80-88%. Other concomitant conjugates include 17-alpha-dihydroequilin, 17-alpha-estradiol, and 17-beta-dihydroequilin. The potency of the preparation is expressed in terms of an equivalent quantity of sodium estrone sulfate. The biggest challenge outside of the US is educating the Chinese who produce more pregnant mare’s urine and prescribe it more than anyone else in the world according to a recent source in China. And the Chinese love horse meat. So the two — Premarin® and horse slaughter — continues to go hand in hand. In the meantime, doctors in the US are still prescribing and using the Premarin® family drugs at an alarming rate and seemingly unaware of the history and multiple dangers associated with this despicable drug.